No, same as last series, just a mid series break. It's not on any more? Doesn't surprise me really. As good as it was, in 6 years they had shown pretty much all the behind the scenes they can. Last series got a bit naff really with a focus on MS, AD and KG mucking about behind the scenes. 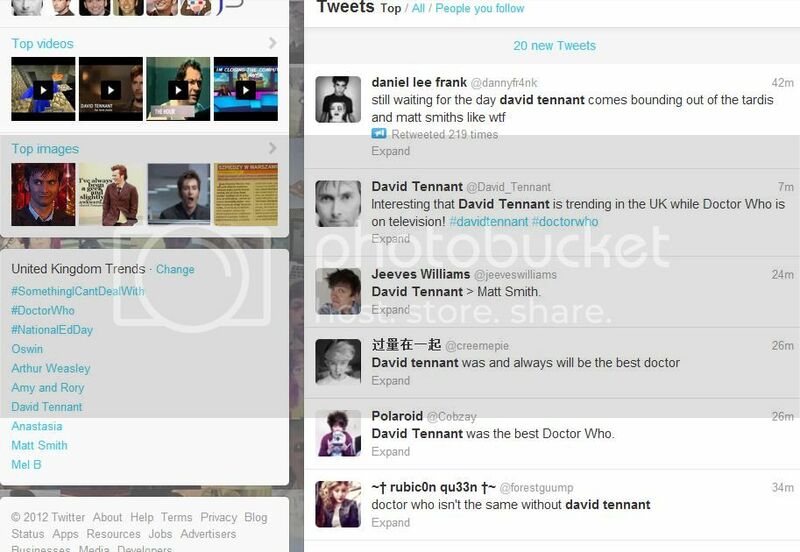 I just don't particularly like the ones with Matt Smith. ****ing hell Karen is so fit. New girl is fit too. Always good news. Bloody missed it. Is there a repeat on during the week? That was really 50 minutes? So why didn't they teleport a bomb down there? Or does a Dalek ship only contain missiles and no time bombs? I'll spoiler this question just in case. Why was her voice human when she communicated to the Doctor and Rory if she dreamt she was human? I'm so confused. I thought the new girl wasn't starting until Christmas and I'm guessing that that's the twist on her, the Doctor meets her before she goes on Alaska. Friday, 7th September, 7:10pm on BBC 3. Or you can always watch it on iPlayer. Cheers. Nah i don't like iplayer, prefer to watch things like this on a tv. Better quality.